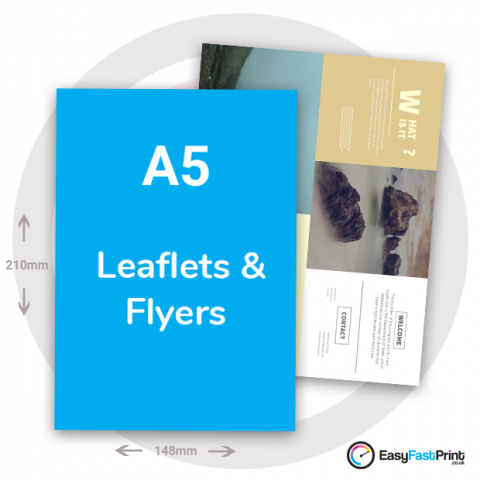 Our A5 leaflets and flyers are a great promotional tool. Choose from double or single sided printing and get your message out to the world. With a fast turnaround and free delivery, why not give us a try? 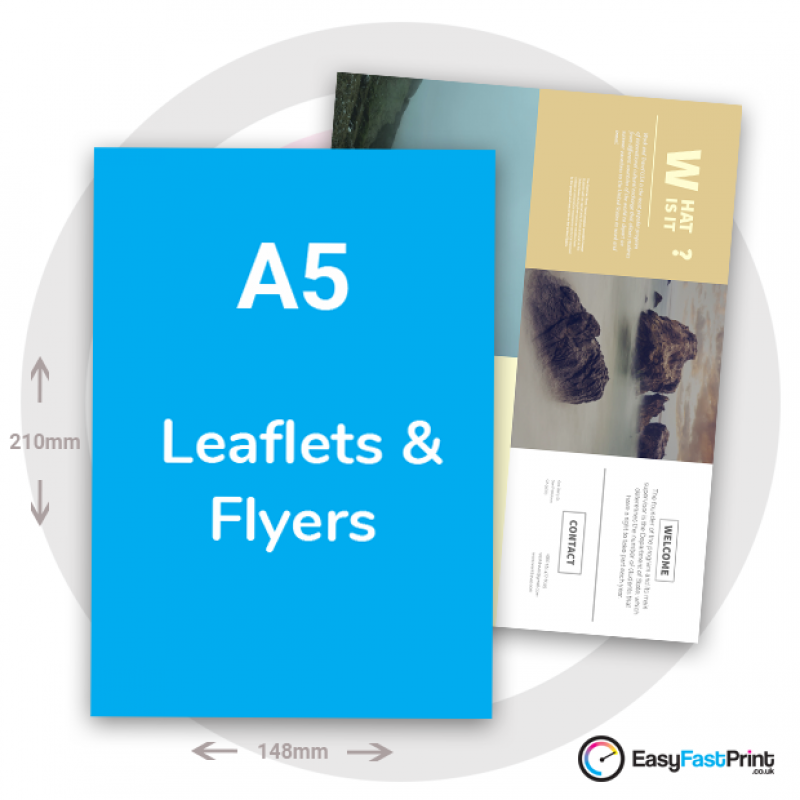 We offer a fast turnaround on our leaflets and flyers, feel free to get in contact with us if you have any special requests.
? How many sides of your product you wish to print, front and back of product.
? If the product has to written on, choose either uncoated or silk finish. Silk has a smooth finish, uncoated has a more textured feel. Gloss has a more shinier finish. The higher the gsm the heavier and thicker the paper, lower gsm's are ideal for flyers and inside pages for booklets. Higher gsm's are used for more sturdy leaflets and covers.